The next few blogs will chronicle my recent trip to New Mexico. The first five days I spent on my own discovering some of New Mexico's grand landscapes and back roads, that is, dusty dirt roads, through Indian lands and National Park lands. 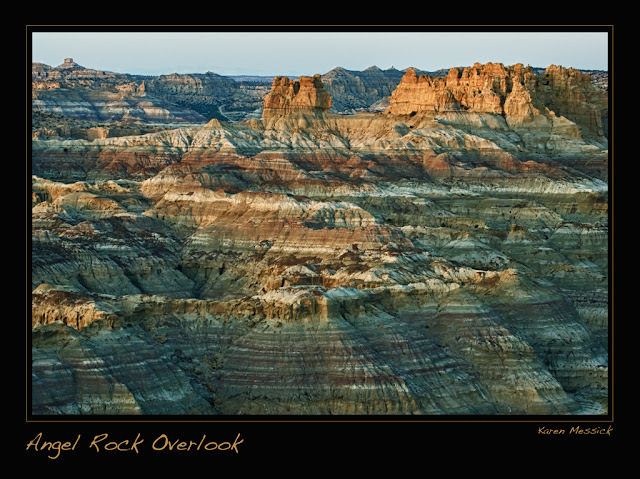 New Mexico is a fabulous state with amazing landscapes. 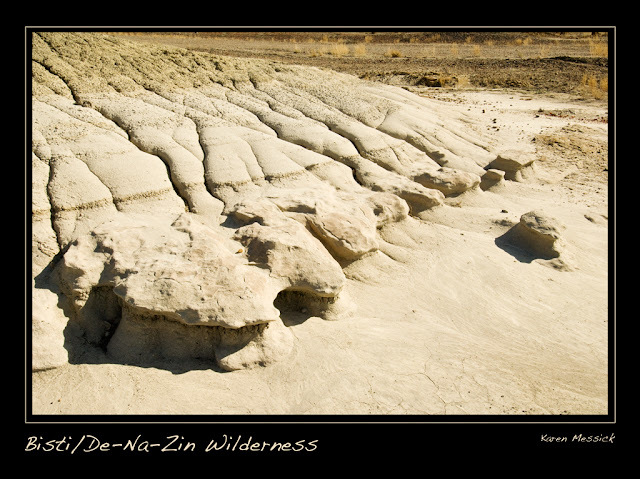 Saturday I decided to make a road trip out of Santa Fe, where I was staying, to the Northwestern edge of the state to discover some of the beauty on New Mexico's Bisti badlands. My route took me through native Navajo Indian lands and north on Rt. 371 to the public entrance. The area is located on Grid #13 of the DeLorme Topo Map of New Mexico. I always make a stop at Staples when I arrive in an area I want to explore and purchase the topo map of the area. It helps me locate interesting places and gets me out of lost places, as I tend to wander or ramble down whatever road may interest me. I also found my iPhone loaded with the GPS MotionX Drive to be invaluable getting around; that is until I went out of range of any cell systems, which was about 50% of the time. As I rambled, I was also glad I had rented a Jeep. 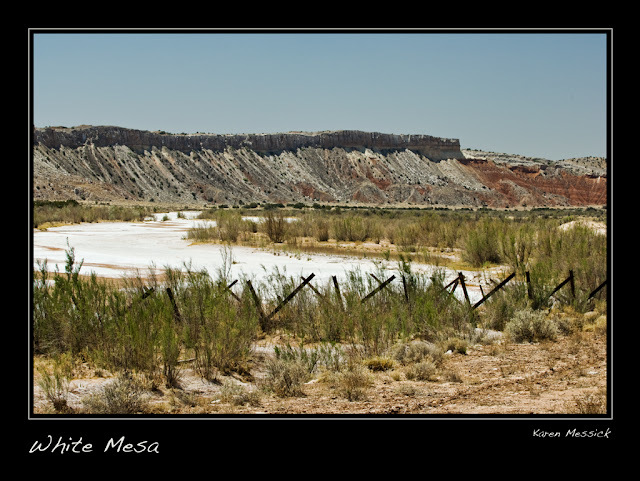 On the way north I passed White Mesa in the Ojito Wilderness, and I stopped to make a few images there from the highway, I was amazed at the sight of the white "river" of mineral deposits in the landscape. The sun was blazing the whole time and I had to get my "New Mexico" eye adjusted to making images in bright sun light and cloudless skies. Not really something we enjoy when making images, but as a traveler you can't always pick your light so I was working with the light I had. It is interesting that the light is so bright that light reflects into all the shadow areas from the barren landscape, making most exposures possible with one shot. No HDR processing needed. 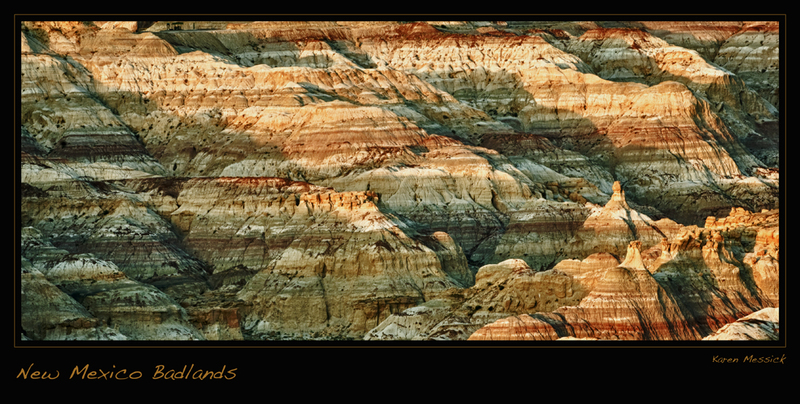 After finding the entrance to the Badlands public area I drove in to see what I could. There was a parking area and trail heads that led into the canyons, but it was getting a little late in the day for a hike so I drove around as much as I could and made some shots and enjoyed the amazing landscape shaped by wind and water. There are many farmlands to the west on the way north on Rt. 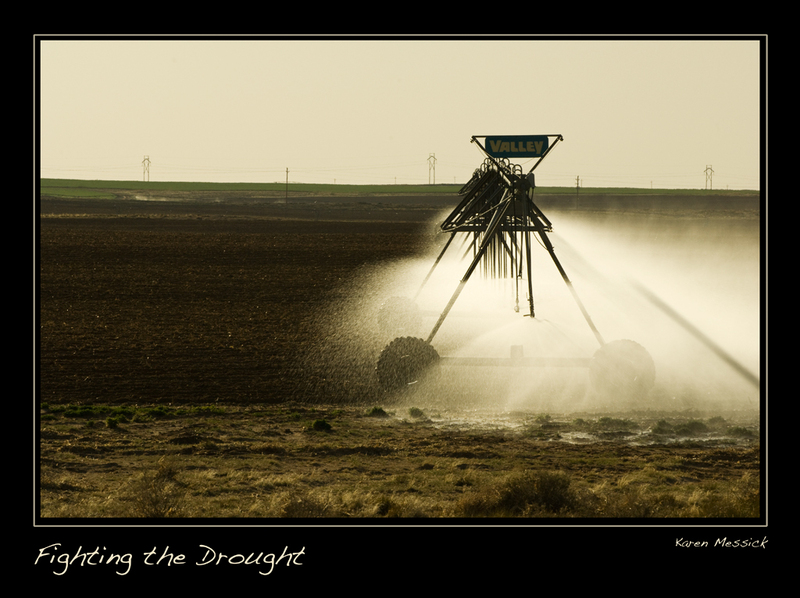 371 and as I drove out of the Badlands and north to Farmington for some gas, the farm sprinklers caught my eye in the low light of late afternoon, so I pulled over and made a few images. New Mexico is fighting a drought right now and water is so very much needed for the farms to produce. When I began my return trip to Santa Fe I found an overlook off of Rt. 550 for Angel Rock in the Angel Peak National Recreation Site, just as the sun was setting and illuminating the rock face. So I made my last shots of the day there. Too bad I did not have drama in the skies, but I made the shots anyway as the landscape was amazing! This is a place I would go back to and explore in depth...but that is another trip. Beautiful images, Karen! Enjoyed those. Wow they are all great. 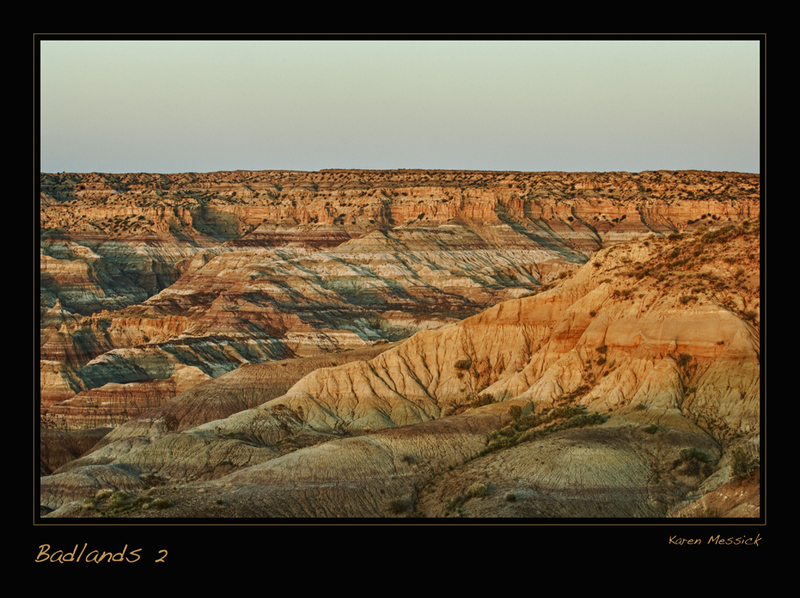 I think I like badlands 2 the best. ;)Great shots!